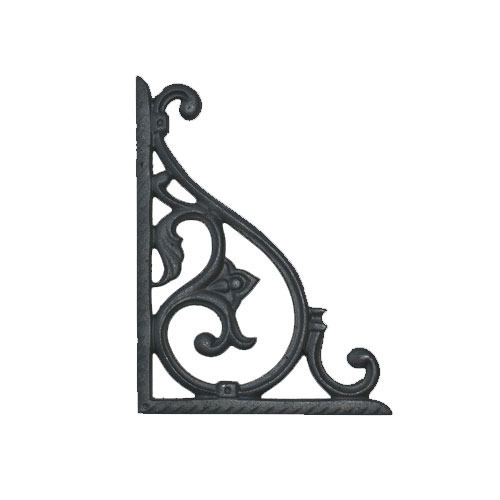 Backed by a modern infrastructural base, expertise of our in-house engineers, and rich experience, we have established our presence as the most reliable manufacturer, trader and supplier of optimum grade Decorative Cast Iron Railing. This casting is manufactured using optimum grade cast iron and sophisticated machines under the visionary guidance of trained professionals. Further, it is checked for its strength and durability by our quality analysts on several quality parameters. Incepted in the year 1990, in Rajkot (Gujarat, India), we “Rekha Foundry” are known as the reputed Manufacturer, Wholesaler, Exporter and Supplier of premium quality range of Decorative Cast Iron Railing, Cast Iron Manhole Cover, Cast Iron Valve Guide, Cast Iron Bore Cap, Shutter Gear Box, Cast Iron Railing, Cast Iron Grill, Stair Railing and Main Gate. The offered products are manufactured using top-notch quality raw material and advanced technology as per the set industry norms. The offered products are known for their less maintenance, easy to install, high strength, precisely deigned, durability, sturdiness, attractive design and rust proof.The entire product range is inspected on several quality parameters under the supervisions of our quality experts.In order to meet the specific needs of our valuable clients, we provide the offered products in several specifications, as per their given details.